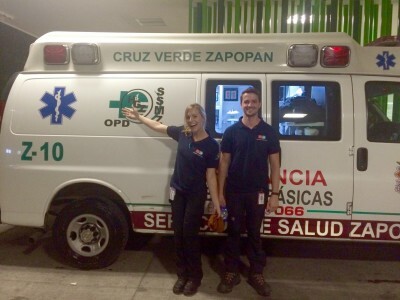 The nursing work experience projects in Mexico are based in Guadalajara at a number of partner hospitals, ranging from large multi-disciplinary hospitals to small rural clinics. During your time on this placement you will be able to work with nurses in an accident and emergency clinic, care for children with cancer and assist nurses with patient care in the larger hospitals. Many of the hospitals we work with are part of the Red Cross or Green Cross organisations. 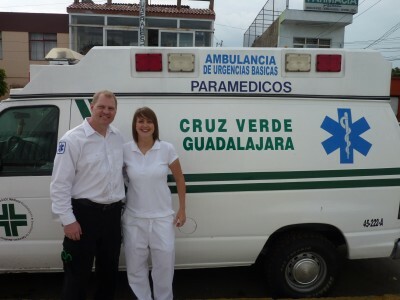 Unlike in the UK, medical provision in Mexico is not free. These organisations provide hospital and medical services to those who are unable to afford it. They are also on hand to provide assistance in the event of natural disasters such as the earthquakes and hurricanes that occasionally hit the region. As these organisations are non-profit organisation they are always in need of funding and volunteers. Depending on your previous experience, you will usually start your project at an accident and emergency clinic. This clinic will give you the opportunity to assist the nurses in trauma care, dressing and suturing wounds. As an emergency unit the cases you see varied from drug overdoses to stabbings, most choose to stay here but some also go on to placements in larger hospitals. Several of our past volunteers on this programme have elected to work weekends and evenings rather than during the days as this is usually when the accident and emergency clinic is at its busiest and when the most help is needed. Therefore, it helps if you have a flexible attitude to your working day! 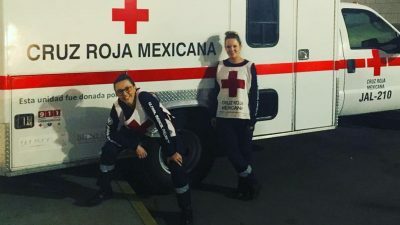 Although all our projects in Mexico include a basic Spanish course, it is useful if you have at least some basic Spanish before joining the medical project in Mexico. If you have no Spanish or are not confident that your Spanish is quite up to scratch we would recommend combining programmes and joining a teaching or orphanage project first. Alternatively, we are happy to recommend a good one week Spanish course. Many on our medical projects spend time helping in orphanages or schools in the afternoons. This is a great way to give something back to the community that is teaching you so much. We also have opportunities to spend part of your time delivering medical care in rural communities caring for the indigenous Huichol. The Huichol community predate the Spanish conquistadors and are located in isolated communities high in the Sierra Madre Mountains. On this project, you will have the opportunity to work alongside the community doctor as well as learn more about traditional indigenous medical practices. This placement is very different to life in the cities or even towns. You will live amongst the Huichol community in the mountains in very basic living conditions. Part of this additional programme includes learning Wixarika, the dialect spoken by the Huichol. Accommodation on this project is in our group accommodation, usually sharing with others. You will be joined in Guadalajara by others on our medical, teaching, media and business projects. The nursing projects can be combined with any other medical projects, our orphanage project, or our turtle conservation project.